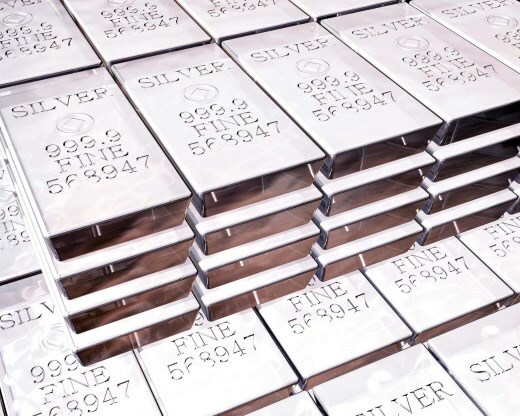 While mining stocks can provide attractive returns at times, they simply do not have the same risk-reward relationship or non-correlation to traditional financial assets as an investment in physical bullion. 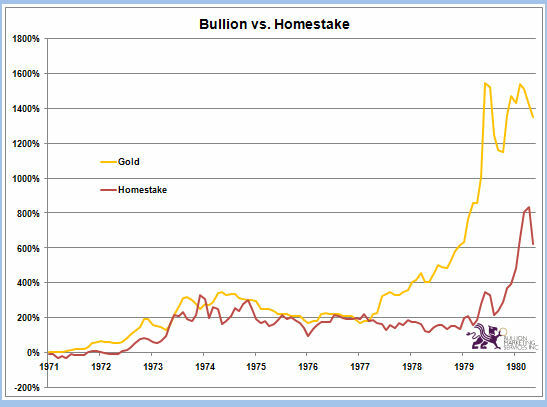 It is this key attribute of bullion that enables investors to reduce portfolio risk and obtain real diversification. Without an allocation to physical bullion, an investment portfolio is neither balanced nor diversified. In addition to the risk reduction provided by diversification, only bullion can protect portfolios against non-diversifiable systemic risks. 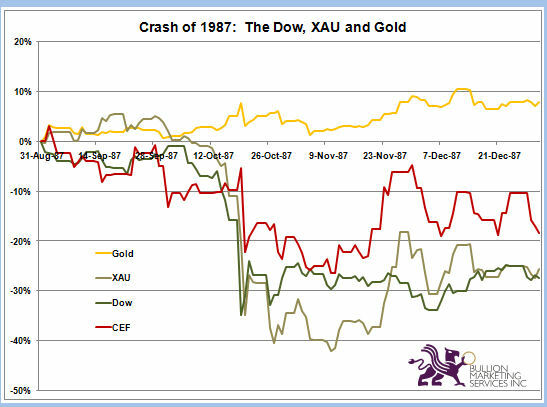 During a financial crisis or a severe stock market decline, bullion tends to outperform mining stocks – often quite dramatically. Without physical bullion portfolios are neither balanced nor diversified. Each asset class – stocks, bonds, cash real estate, commodities or precious metals – has very different risks, volatility, and, most importantly, correlations. The performance of mining company shares can be adversely affected by a host of factors such as stock market volatility, geopolitics, environmental issues, management capability, financial strength, mine life, productivity, increases in operating costs, energy supplies and hedging policies, even when the price of bullion is rising. Ultimately, mining stocks are a promise of performance by the management team. 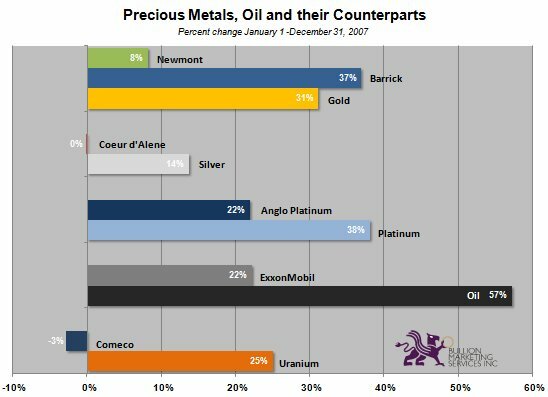 Bullion, on the other hand, does not rely on anyone’s promise of performance and cannot decline to zero, as the shares of many mining companies have in the past. I've been thinking it's time to get some miners, I guess this is a pretty good signal.